I’m so excited to see what my blogging friends have come up with for this month’s ruler/yard stick challenge. You’ll find links to their projects at the end of this post. Be sure to visit and check out the fabulousness. 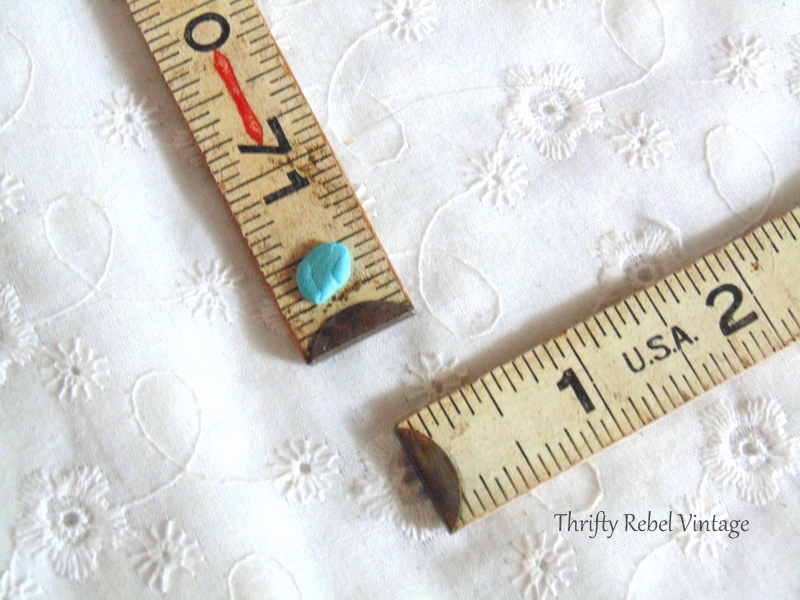 For my quick and easy project I used this $1 vintage wooden folding ruler from my stash. 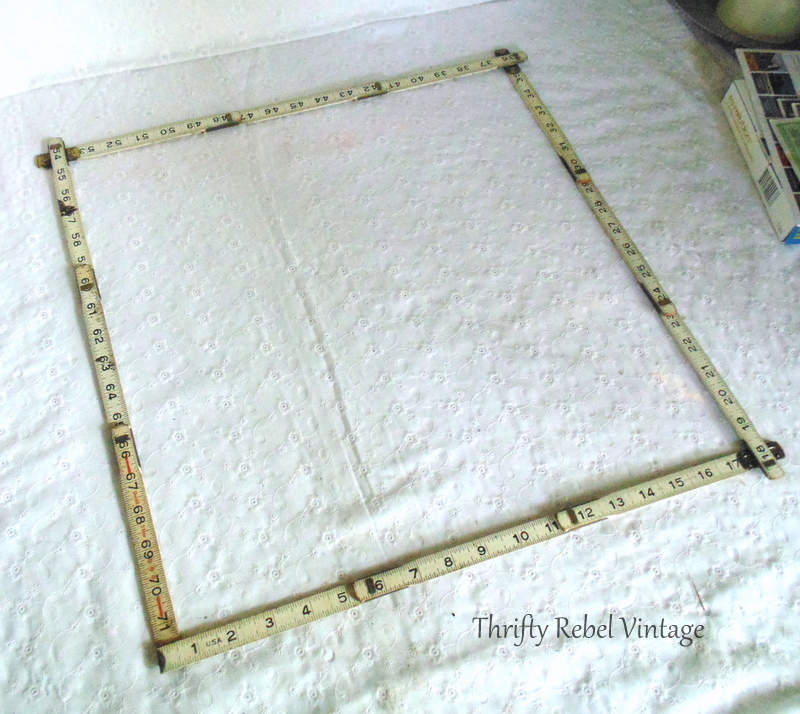 To make my frame I opened the ruler and created a square. This was quite easy to do because the ruler sort of locked in place at the connections. All I needed was some fun-tak putty to hold the two ends in place. 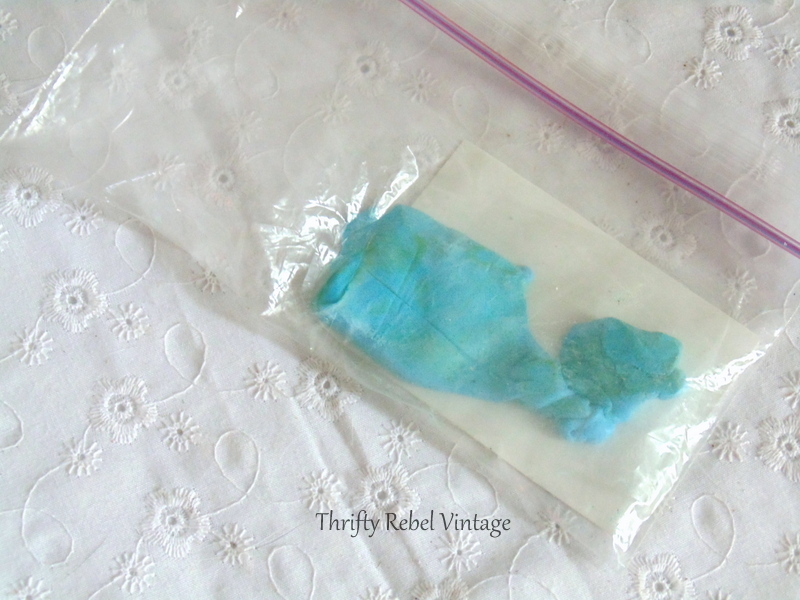 I’ve had this putty for at least 4-5 years years and it’s stayed nice and soft in a baggie. 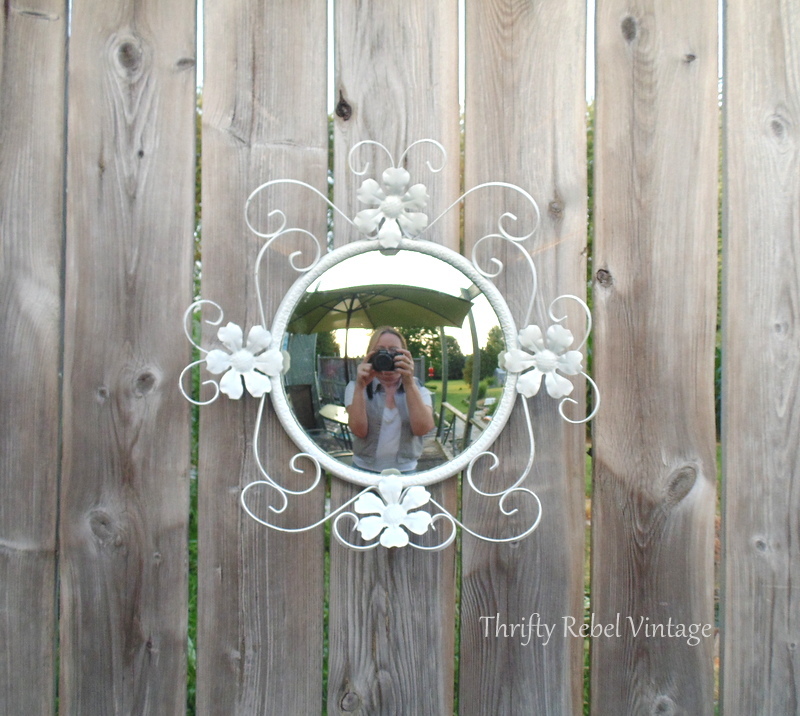 When I gave this floral mirror its makeover a few years ago I turned it into a chalkboard while keeping the mirror in behind. Now it’s time to start reusing it as a mirror again. 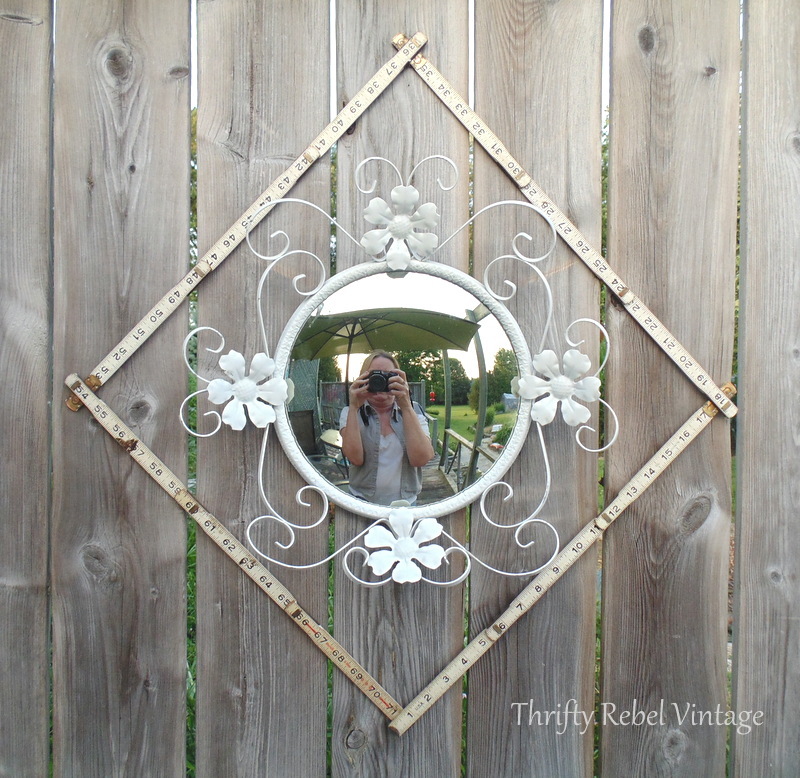 This is one of those wonky mirrors that makes everything looks slightly askew. I took it outside to take advantage of the natural lighting. It’s pretty impossible to take a mirror pic without being in it… so there I am. And I simply hung the ruler frame around the mirror. All I needed was one little nail at the top, and I made sure to have the puttied connection at the bottom. The ruler frame really does give this mirror a little extra oomph. This pair will eventually be hanging somewhere in the house, but I haven’t decided where yet. Since we’re having a dry spell here with no rain in sight I think I’ll just leave it here on the back deck fence for a while. It’s kinda fun having something that would normally be inside outside instead. 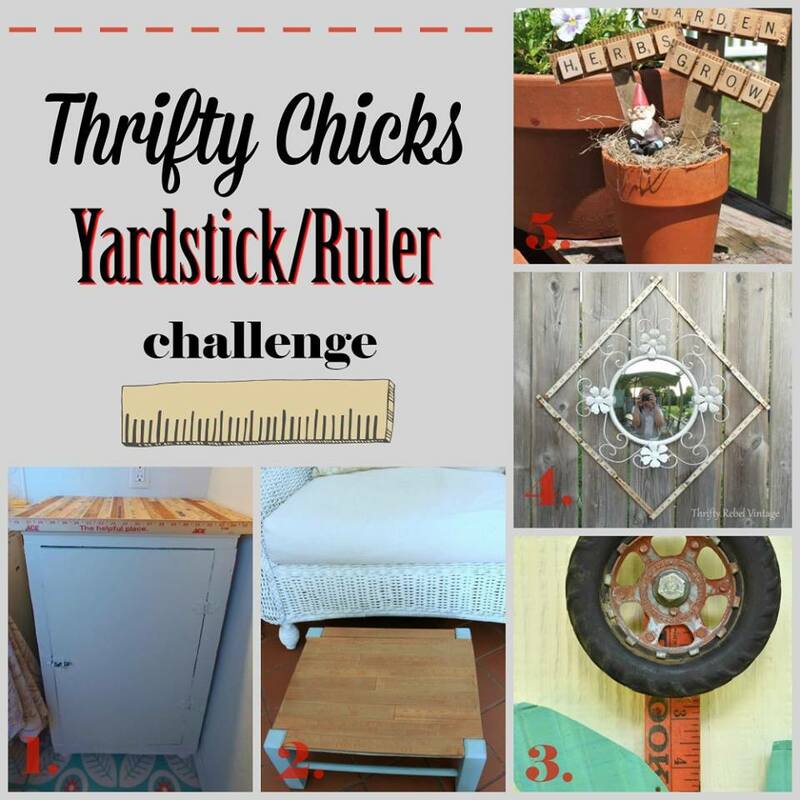 Now be sure to check out what my friends did with their ruler/yard stick projects. 4. 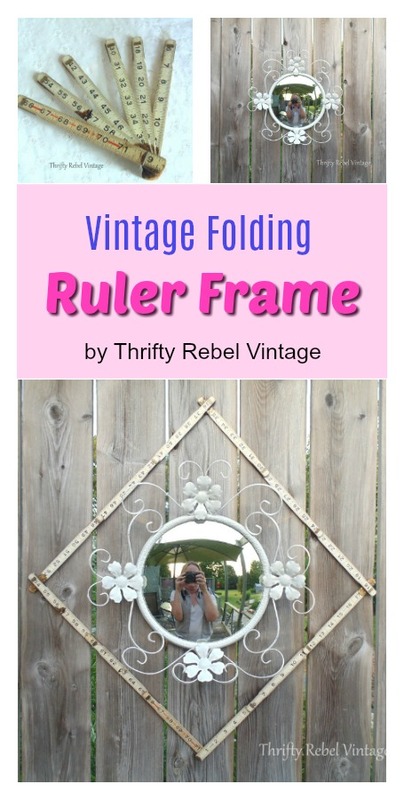 Thrifty Rebel Vintage – That’s mine! Yes, you did measure up! The frame is utterly adorable. Thanks Dona! I love the challenge too, and I feel lucky to be participating with such talented blogging friends. Great ideas…all really cool. Enjoy reading your site. Your instructions are so easy to follow. You work so hard & are very successful. I love this! You have such a creative mind. Love how the square ruler sets off the curvy mirror. 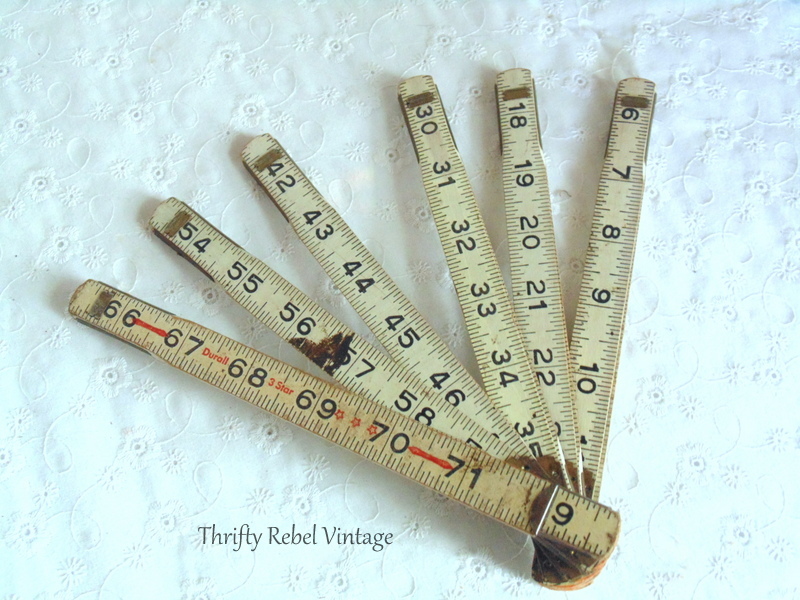 I love those old, bendy, yardsticks-so functional for re-purposing! And, yes, taking pics of rooms with mirrors is always a challenge! I love how you just gave in and got yourself in there…selfie time! Thanks Lora! When you can’t beat it… join it. lol. Thanks Diana! Normally I hate having my picture taken, but I’m kind of incognito at the same time so it was ok. lol. Love it Tuula! It’s so simple yet not something that most people would even think of and it’s so cute! Thanks Tania! This is absolutely one of the easiest projects I’ve ever done, but those are often my favourites. That is just too easy! It is definitely an eclectic way to decorate and it works! I love this repurpose, Tuula! Thanks for sharing at Vintage Charm!